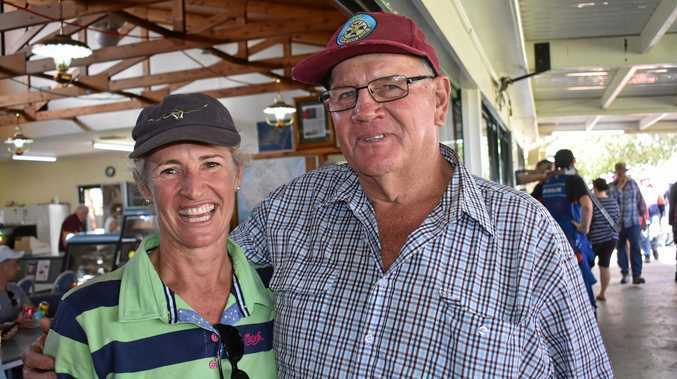 THE pre-national Roman Chariot shoot brought hundreds of early birds to the Roma Gun Club, as a cheerful yet competitive kick-starter to this week's National Trap Shoot. Armstrong Auto's car shoot was by far the main attractions of the weekend event, and the crowd of hundreds gathered in stunned silence to watch 13-year-old Chloe Evans take home the trophy. In the graded shoots, C-grade Roma local Fletcher Cameron took out first place, while in the B-grade, Andre Mari, of the Gold Coast, took top spot. David Ritchings, of Springsure, claimed first in the A-grade, followed by Rockhampton marksman, John Chambers, who finished up the Queenslanders' sweep. The best of the best faced off in the AA-grade shoot, which was won by Victoria's Russell Flemingham, and second place went to New Zealand export, Gavin Searle. The national competition was officially opened yesterday morning, after even more competitors arrived for the major events.